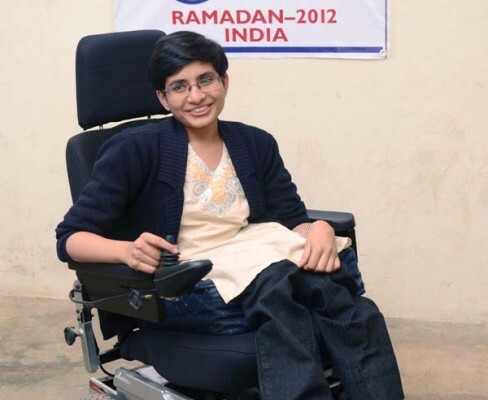 Dr. Mahajebeen Mardarkar, the young doctor who received an electric wheelchair from Zakat Foundation of America (ZF) donors in 2012, has received the highest achievement award for a disabled student in the medical field from the government of her home state, Karnataka, India. I am glad to inform you that I received a state award on the eve of World Disabled Day. 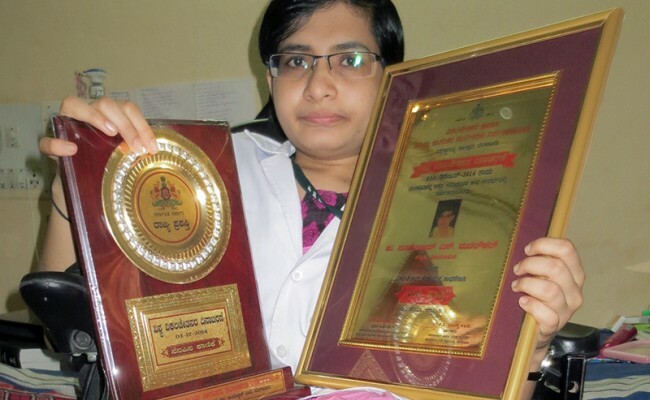 The award is instituted by the government of Karnataka , for achievement in the field of medicine. This was all possible because of your generosity and help in my times of need. I am ever thankful to you and I promise you that I will work hard and eventually give something back to others. Dr. Mardarkar graduated third in her class from medical school and is pursuing a specialization in dermatology at Father Muller Medical College with ongoing help from ZF. Her dedication to a life of service is an inspiration to all of us at ZF.